Japan Hayabusa-2 landed two rovers on an asteroid’s surface after four years. Two landers from the Japan Aerospace Exploration Agency (JAXA) have successfully touched down on the Ryugu asteroid after separating from the Hayabusa2 probe in orbit, and have begun transmitting images from the space rock’s surface. The two landers are intended to study the composition of Ryugu, a primitive carbonaceous near-Earth asteroid, with the ultimate purpose of gathering more information about the development of the inner planets of the solar system. The craft has previously flown tantalizingly close to the asteroid’s surface for the purpose of measuring its gravitational pull; while descending to Ryugu this time, Hayabusa2 traveled from its orbit 12. 4 miles (20 kilometers) away to within just 328 feet (100 meters). 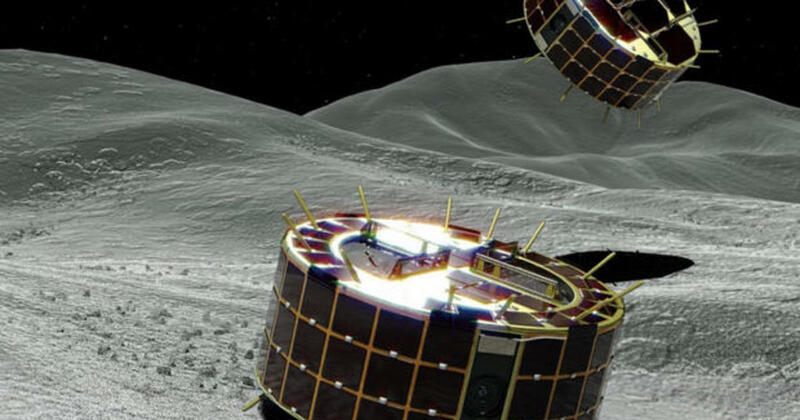 According to Space.com, the tiny landers (known as MINERVA-II1A and MINERVA-II1B) briefly lost contact with JAXA after deployment, though were later confirmed to have made it to the surface in “good condition” by the agency. Now that they have safely landed, the two surface landers’ rovers are capable of making good use of the low-gravity environment to hop around Ryugu and survey different parts of its surface, according to the Guardian. While they contain scientific instruments including cameras, thermometers, and accelerometers, one purpose of the rovers (which use torque generated by rotating internal components instead of wheels) is simply to act as a proof of concept for low-gravity environmental exploration. Hayabusa2 will also deploy yet another another small rover (this time containing optical and ultraviolet LEDs) in 2019. By the end of next year, the spacecraft is expected to begin its return journey to Earth with a cache of samples collected from Ryugu.